A creative force in the science of motherhood. Yeah, easier said than done. But through the past two years of being parents of two kids under 4 we’ve started slacking on nutrition- especially for ourselves. It’s so easy to do, right? It starts with a pizza every Friday night, then leads to a couple mocha lattes a day to perk you up after a sleepless night, and before you know it your backseat is full of empty Wendy’s wrappers, Ted Drewes’ bowls, and 20 oz. soda bottles.This idea of a 30 day reboot appealed to us because we used to be really dedicated to our family’s nutrition. Putting nutrition at the front of our line of priorities helps us make healthier choices and we needed to get back on track. We reviewed the calendar and decided to start as soon as we returned from Itzie’s (because everything she cooks is magical and we’re not missing out on it!). Shortly after, my BFF was over for dinner, the topic came up and she decided to do it with us. If you want to learn more about the Whole 30 click on the links in the first paragraph. If you’ve done the Whole 30 and you have any advice or recipes, PLEASE comment below. I’d love some help! I saw this recipe prior to us beginning the program and I made sure to save it for Week 1. Maria and Josh at Two Peas and Their Pod always have the most gorgeous photos of their recipes and this one caught my eye. It was simple, new (to me) and quick to assemble. 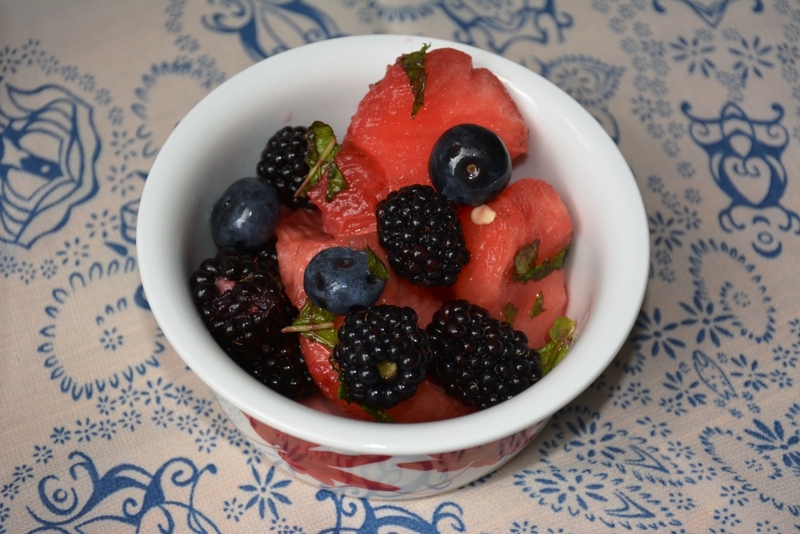 I tweaked it a little by adding a little more watermelon and some blueberries. I love the balance and the freshness the mint contributes. Mix in a bowl and store in the fridge. Serve immediately or chilled. I’m going to tell you that I’m not usually a fan of blueberries or blackberries. I’ve tried to eat them plain, but I really don’t like the bite they have. Jams and cobblers are okay, but I usually don’t like berries that aren’t processed with sugar or baked in butter. 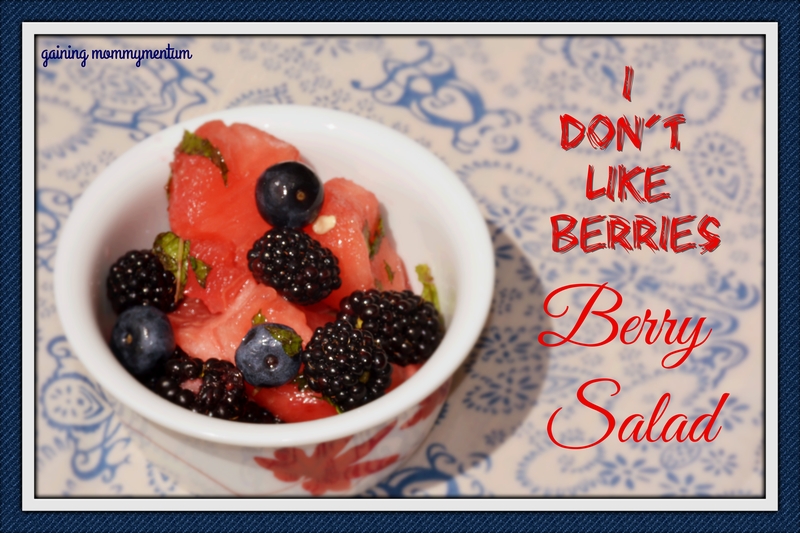 However, the combination of mint and lime juice really cut that bite out and you’re left with a sweet, flavorful summer salad. Good Luck on your journey! You are inspiring!